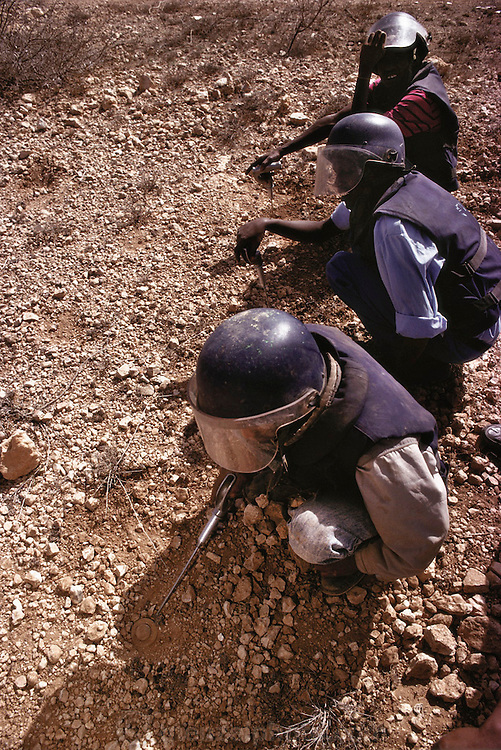 Pioneers in blue flak jackets and helmets probing for landmines uncover a small hockey puck size landmine near a new training camp for 229 volunteers in Hargeisa, Somaliland. Somaliland is the breakaway republic in northern Somalia that declared independence in 1991 after 50,000 died in civil war. March 1992.